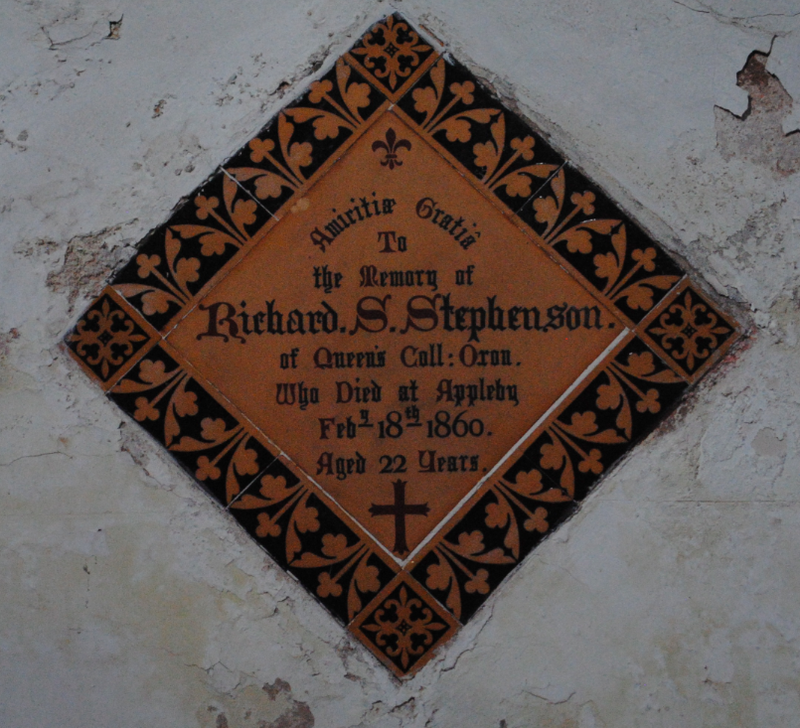 Located on the wall of the north aisle in the Parish Church of St Lawrence is a memorial to Richard S Stephenson. Richard was the only son of Mason Stephenson who was the Mayor of the borough and a coroner of the county. Richard was a student at Queen’s College in Oxford and he died in Appleby in 1860.